I’ve heard that the schedule really wasn’t particularly lenient, so how in the world did you manage to throw all those images, those sounds and that direction into the show? 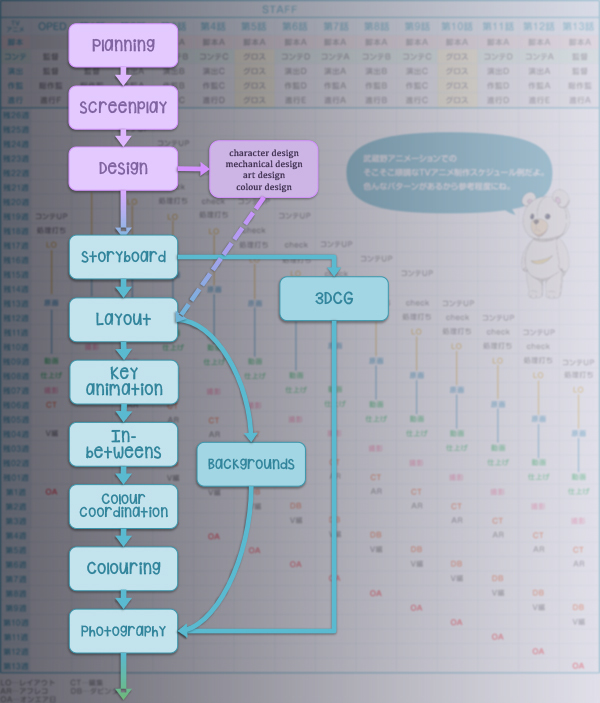 Kikuchi: In Satellite, we make the orders for CG scenes right from the storyboard. First, the episode script gets approved. Then I or the episode director will draw the storyboard. It’s made up of incredibly simple drawings, roundish figures and stuff, but we just hand that to the CG staff and tell them to get started. Normally, the process involves the key animators drawing the layouts first, so we effectively have one step fewer than in other production companies. In the first place, right from the start, I ask for things that I know we’ll need. Roughly speaking, I tell the staff that we’ll need this kind or material, like stars, and asteroids—so I get them to make a few CG models. After that, I look at the field of the screen and get them to combine a few of the models. In this way, the key animator only needs to draw the important parts. I give them leeway in terms of how the various objects move; or rather, we show them that “this Macross moves like this, it turns like this.” Just like Isamu did in Macross Plus. If we can get them to think about how it would work in real life, like “it would screech to a stop here,” and so on. We’ll show them with our hands, and using body language. For the VFs, since they’re known entities, it’s probably relatively easy to see how they move. But the Vajra, on the other hand, have tails, and there’s quite a lot of detail in their movements. Don’t tell me—did you also leave that up to the animators?! It sound like the kind of directions that you’d give for a stage production. Kikuchi: Hm…well, you’re right. You could say that they’re similar to stage directions. And then I’d get them to show the cut (of animation) to me again. If it’s just about the action, then we can change it pretty early. Thisy is also something that we’ve built up all the way from Zero through Aquarion. And this time, it feels like it’s become a little more systematic, like, it’s already been decided. Moving on to the music, I’d understand if background music were to be used. However, the “Carrot song” in episode 9. 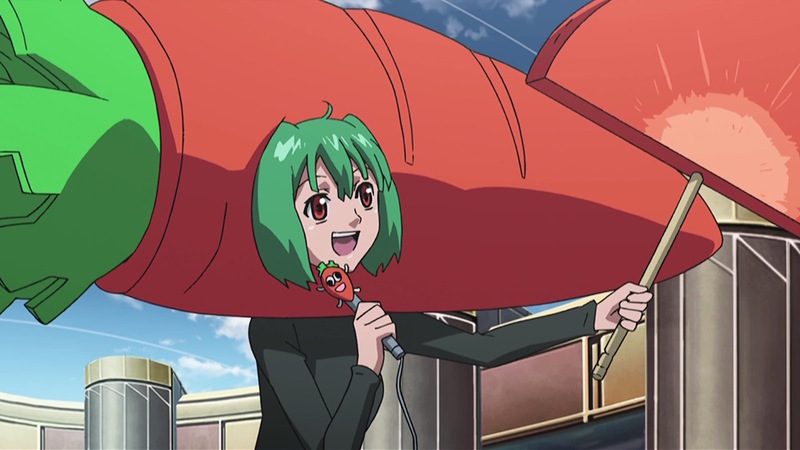 The only thing written in the episode script was that Ranka would be singing, in a carrot suit. If you placed an order at that point in the production process, would it be ready in time? Kikuchi: With regards to the music, I can’t say which one came first. When we were working on the scripts, we’d have songs noted down at the relevant points, so we would give Kanno orders based on that. If we’re talking about that “Carrot song,” we’d long planned to have Ranka performing “on the road,” so we gave her lots of orders for “on the road” songs (chuckles)—it was just an idea. But even without us giving out such ideas, Kanno would come and tell us “Well, I’ve gone and written this song…” In those cases, that’s where it was born, and it’d be us going “now, where shall we place it…?” (chuckles). Hence, it’s difficult to say which came first. It simply wasn’t something that we planned to the letter. It’s often said that Director Kawamori is someone who doesn’t like to plan things out too much. Kikuchi: Right. That’s pretty much how he is with everything. Right from the first planning stages, he’d throw out rough sketches, like, “I’ve got this kind of idea, and that kind of idea.” And he’d pile them one on top of another, eventually coming up with the final work. Even when it came to how the story is organised, Yoshino, who was in charge of the scripts, is the kind of person who just inserts foreshadowing left, right and centre. Foreshadowing that allows us to take the story in this or that direction. *It’s the 25th anniversary, so you had to draw links between the show and previous works as well, right?! Kikuchi: Well, the worldview was already set—the worldview of the Macross universe that Kawamori and his peers developed many years ago. When I first came onto the Frontier project, I started by cramming the settings of all the Macross series of the past 25 years into my head. If we make it according to the setting, there’s no way it’ll be interesting. Kikuchi: Of course. But both Yoshino and I are from the Macross generation, so there are things that have seeped into us. 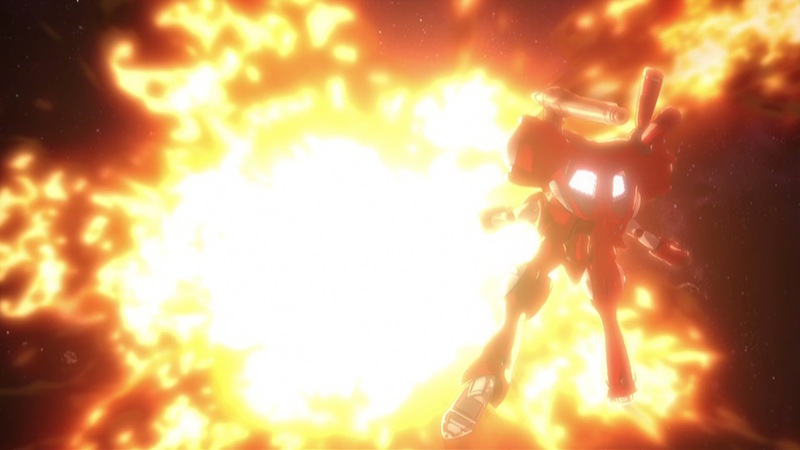 Hence, if Kawamori doesn’t say anything, then we blaze right through and reference everything we want. And then he’ll wrinkle his brow, saying “Huh? This again?” (chuckles). To which we’re like “We like this stuff, so it’s fine to do it, right? !” Like the vending machine in episode one, or the cleaning robot. Kawamori really, REALLY doesn’t like referencing material from long ago. I’ve heard that Kawamori is the one who goes crazy, but it seems like you’re all equally guilty of it! Kikuchi: Yup (chuckles). Yoshino and I were the ones responsible for digging up all those references. The person who forcefully tried to change all of the settings—because he’d made them in the first place—was Kawamori. 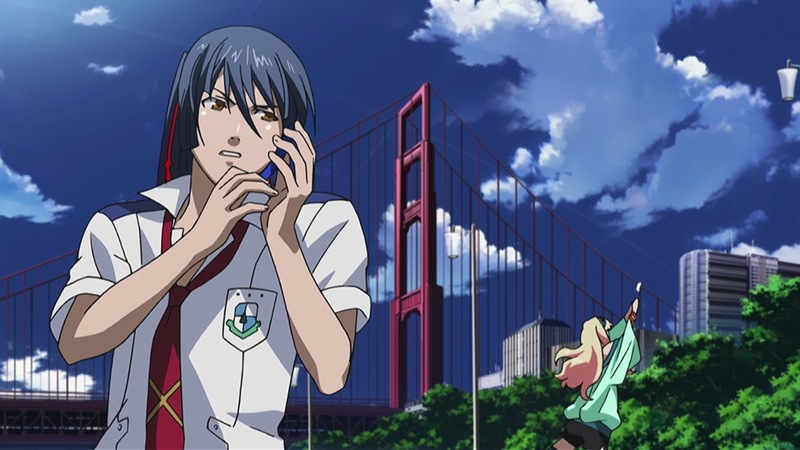 In particular, the one that I was always talking about was SDFM’s “Daedalus Attack.” In Frontier, it’s called the “Macross Attack,” and we brought it out in the final episode, with the Quarter using it to destroy Battle Galaxy’s main cannon. 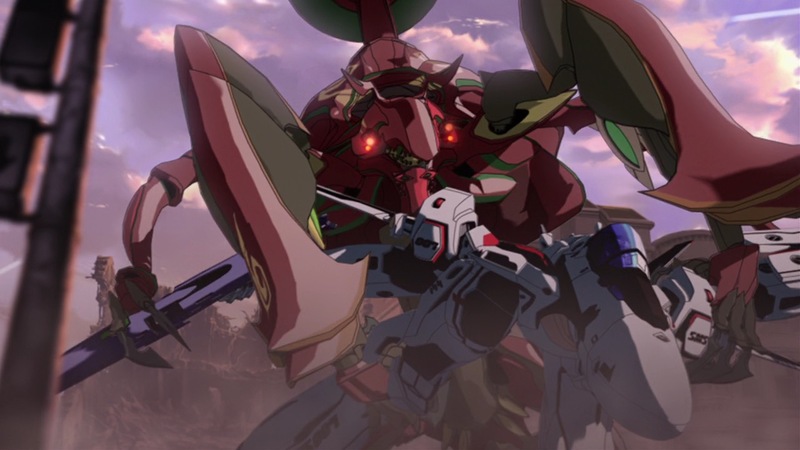 In fact, from as early as episode 4, I’d actually been chanting “Let’s do it!” “Let’s do it!” But Kawamori kept going “Nup.” “No way!” Until we got to the last episode and he finally gave in and said “I guess we could…” (chuckles). 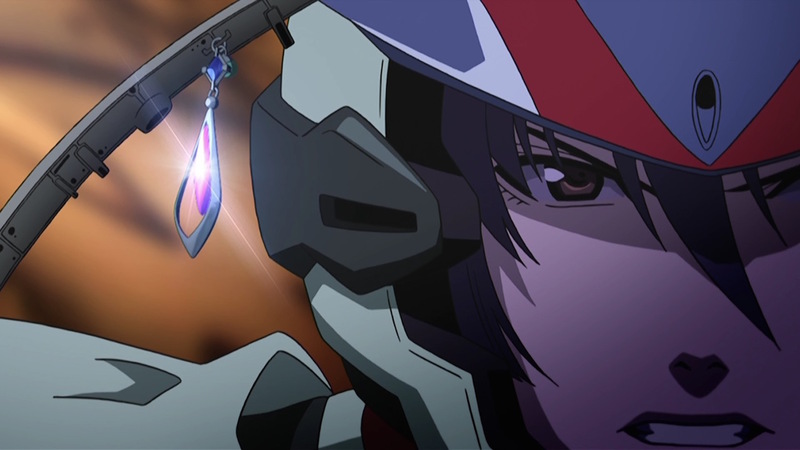 Besides the music, with Macross, that’s the other thing that packs a punch after all. After the “Kira! ☆” from “Interstellar Flight” [Seikan Hikou], I was really moved by how the Zentradi just dropped their guns.1 That timing! Was that also referring to something from the past? Kikuchi: No, I don’t think there was any such moment. But in Macross, we’ve got to have Zentradi being moved to the point of breaking out in nose bleeds. I had to recut that scene twice to get the timing right (chuckles). It’d be really embarrassing if it wasn’t effective, after all. Each and every episode, there was something that I knew we absolutely had to get right. For example, episode 5 was the episode that had to show how adorable Sheryl was. 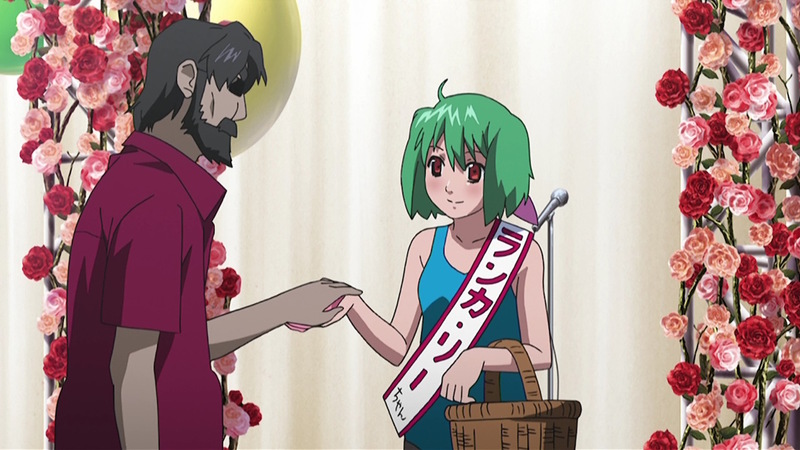 Or the end of episode 10, which was the episode where Ranka’s star would be born. That scene with the Zentradi dropping their guns was another of those scenes we just had to get right. This time, I’d also like to dig a bit deeper into the world you’ve created. Could you, perhaps, thrown out a few numbers about the size of the Frontier fleet, for example? Kikuchi: The scale of the ships was decided, of course. Right at the start, we calculated all the distances and even made something like a map. Given the diameter, we also worked out how many people would live there, and thus how many agricultural ships they would need to sustain them. Because it’s sci-fi. We looked it up carefully, and even consulted people who do sci-fi world settings. But after that, we’d go with the flow. When making a story, you’ve got to go with the flow. If you allow the settings to constrain you, there’s no way that it’ll become something interesting. Wouldn’t you agree? For example, we’ve got the Island 1 dome at 15 km across, with a maximum elevation of just 2000 metres.2 In real life, the fighters would only take a few seconds to cross that space (chuckles). 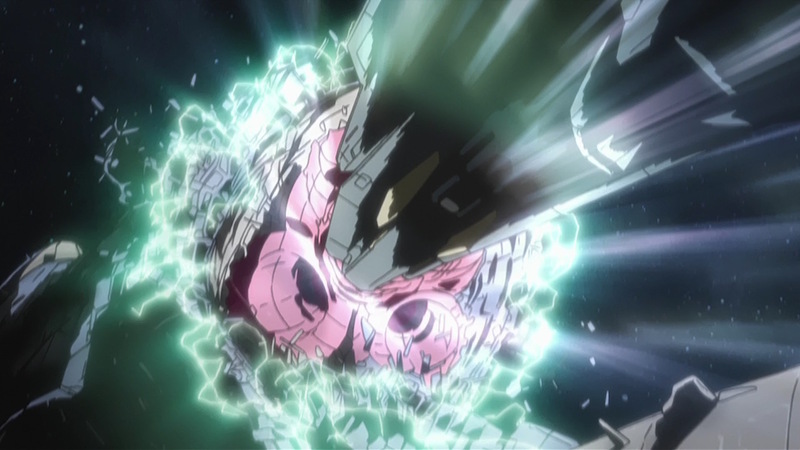 Hence, whenever we had internal battle scenes, we basically treated it as if it were 10 times larger (chuckles). And because of the existence of fold faults, we don’t know just how away far Galia 4 actually is. Kikuchi: That’s right. But that’s fine (chuckles). That was a desperate measure on our part, anyway (chuckles). Because technology has improved in such leaps and bounds, the speed of communication is also much faster. As such, we had to insert something that would interfere with transmission, or it just wouldn’t be believable as a sci-fi work. Viewers would be able to calculate how long it should take, right? That would be bad, so we had to figure out how to add some constraints somehow. And what came out of our brainstorms were the fold faults. If you’re constrained by the settings, then stories become rather boring. You simply can’t let sci-fi issues get to you. Kawamori is from Studio Nue, right? They’re really into creating the background settings, after which they pitch them at you and set out to show you that they can use every single one of those settings. Hence, we also figured that it’d be okay if we created loads of settings. We don’t know whether we’d be able to use all of them, but we created them and pitched them right back. This is something that Kawamori also says, but basically, settings are something that are created by the repetition of that process, the process of catching the pitches tossed at you, and throwing your own back. Kawamori and I are similar in that we’re the type of people who convince ourselves about something by talking it through and changing it a bit at a time. Perhaps we can say that there’s a feeling that the story’s alive? Meetings with Kawamori are like jam sessions, really. Basically, we just go at it right from that first chord. If there’s a problem somewhere, we’ll think about it later. And what kind of direction are you planning for the movies? Kikuchi: We’re thinking of bringing in stuff that we left out of the TV series, putting it all together. First or all, I wanted to have a few more battles within Island 1. The way that the place crumbles is something that we didn’t really depict, and I think that we need to show it a bit more. It just wouldn’t be fitting of a series about war if we didn’t. After all, the VF fighters are one of the main elements. I want to have them move around in that slightly heavy manner in battles on the city streets. With the Vajra, too, of course. Will the Vajra be the same as those that appeared in the TV series? Kikuchi: The first ones that appear will be. But the rest…that’ll be up to the people who are actually working on it. We won’t be adding any new incidents, so we’d like the fans to really savour how it feels to be on a battleground. If you watch the original special, the “Deculture Edition,” on the BD, there’s a sense of it there, right? That’s it, I thought. If we could reproduce that feeling in city battles and stuff, we’ll be right. 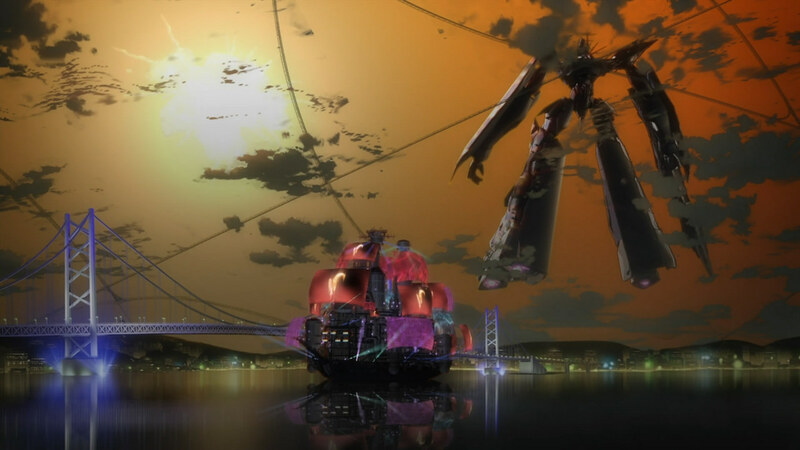 What would you say you have gained from working on Macross F, from working with Kawamori? Kikuchi: Hm…perhaps the realisation that I can still do this kind of thing? Kawamori himself is as energetic as always, but I, too, can still challenge my limits. A person’s limits go right up to the end, after all. Like, everyone, staying awake all night (chuckles). 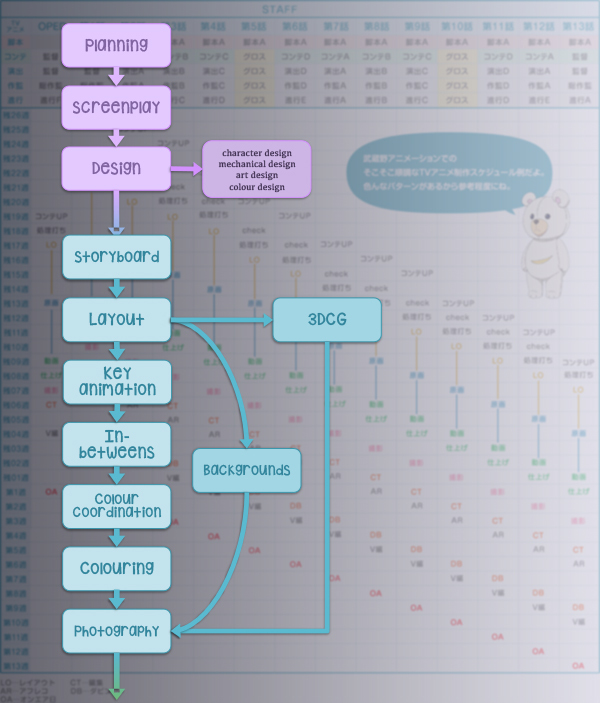 This is the 11th post in my “On Anime ‘Writing’“ project, in which I have been looking at how the key staff of producers, directors and screenwriters work together to plan and write the shows that grace our screens. If you liked it, I hope you’ll check the other posts out, too. And feel free to drop me a note or question—whether here, on twitter, tumblr or ask.fm—about any other series that you’re interested in for behind-the-scenes info! Disclaimer: As always, the translation is entirely mine, as are any mistakes and misinterpretations. Please do not copy and paste large portions of it anywhere else, though feel free to link to the post itself if you wish.